- Documentation, how to use replacement textures, you find in the <FS>\Aerosoft\AES with the name "Repaint Install Info ENG.pdf"
- Replacement Set of repainters can be up/downloaded in the AES Download Area of this forum. Please read more info's in the Releasenote! Please only post AES 2.45a related issues here in this thread, no request for future release! 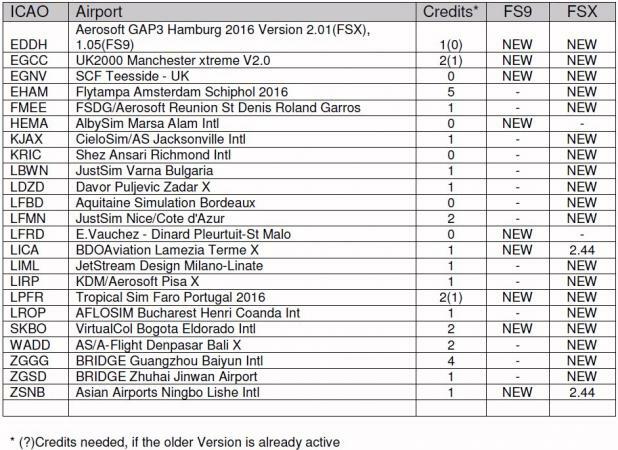 Thanks for this update, however, there is a problem with the AES config for Albysim HEMA for FS9 . I have the paid version of the scenery installed on my system, but AES lists the airport in red (not installed). The config file (AESA_HEMA_ALS.CFG) is looking for the files HEMA20.bgl and HEMA50.bgl, which exist in the demo version only. Albysim have different file names for the demo version and the paid version, which should be MARSA20.bgl and MARSA50.bgl. I tried changing the text in the CFG file, but AES still comes up with the airport listed as not installed. Can you please investigate? About the scenery EGNV for FS2004, I did received this mail message from the makers that it isn't supported with version 2.45. Unfortunately our EGNV scenery is not currently compatible with AES. I have contacted Aerosoft about making a compatible version but I haven't heard much back from them regarding how. So I hope to release a compatible version in the future but for now I am sorry to say Flagship Durham Tees is the best we can offer for FS2004. I found also a issue with the new upgrade voor GAP3 - Hamburg 2016 for FS2004. When I did install the upgrade from Aerosoft then it will be installed into a new folder \\Aerosoft\German Airports 3 - Hamburg with inside a LC and SC folder. After startup the AESHelp, my new scenery didn't found it. Maybe you can fix this config file and thanks in advange for it. Sorry, but I see this different: When I install the now available FS2004 Installer Version 1.05 (no the older Version 1.04), the Identification of AES will be successful for FS2004 too, as the related file (EDDH_jetways_LIB.BGL) is present, not the old version (EDDH_2009_jetways_Lib). I not really understand you. I did download the upgrade file from Simmarket. with this file name AS_GERMAN-AIRPORTS-3-HAMBURG_FS2004_V105.exe on 19 january 2017, or is there again a new one after this date ? This version I had installed on my flight system with the file name AS_GERMAN-AIRPORTS-3-2012(FS2004)_V104.exe, also from Simmarket. What I need to do know ? The problem I have solved on my flight system and everything is working fine now, included the AES program. I did download both installers (1.04 and 1.05) again from Simmarket and did unstalling both versions from my Flightsim. I did check that all folders was deleten from the Aerosoft folder. Then I install again the both versions (1.04 and then 1.05) and yeah now all the folders / files are correct. Oliver thanks for your first step help to fix this issue. 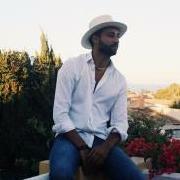 I had contact with Albysim and became the follow message from Alby. For the moment i did fix the AESA_HEMA_ALS.CFG file to MARSA020,MARSA050 and works fine now for me. I have the EDDH 2016 installed standalone in FSX (v2.01), and when I activate AES for the airport the ground becomes rough, the aircraft bumps and kicks up dust. Deactivating AES again returns the airport to normal. Can't see any changes to the flatten files etc, but clearly AES is causing it as you can turn it on and off and replicate it reliably. Yes, there was a wrong exclude generating this. In the first post here, you find a fix for that. Thanks very much for the quick fix, I'll go and update now. 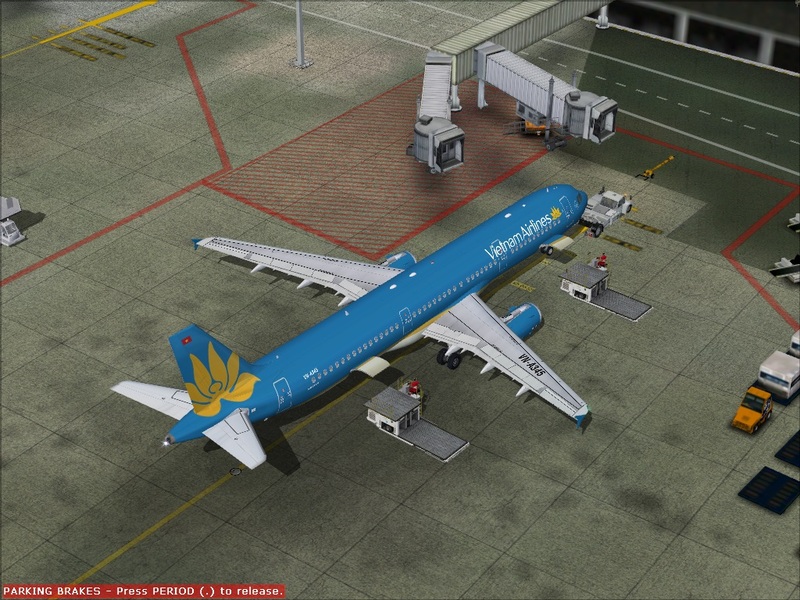 first a big big “thank you” to Oliver for including our Marsa Alam HEMA scenery in the new AES 2.45 version. We are very happy and proud about this and – as usual – we’ll do and release soon as possible our custom HEMA repaint for the “AES vehicles set” on the Aerosoft AES repaints page. the workaround is not needed, because there is a fix in the first post already. sorry, you're right, i didn't see your fix for HEMA in the first post. Thanks for your help and speedy resolution of the problem (as usual). I have noticed that with UK2000's new EGCC v2 scenery, when I activate AES at this airport, it takes away 1 of the 2 gates at gate 12 (the A380 gate). Also, right next to it, gate 10, it adds a jetway. This was actually a late fix to the scenery that Gary did, as someone pointed out gate 10 no longer has a jetway. Not sure if these issues can be addressed. I did deactivate the AES and these problems went away.. Thank you always for your great product with AES. Quotation Mathijs Kok vom 07.02.2017 bzgl. update Pisa X: "I really do not know. 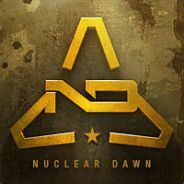 I have not seen it appear on the ready for release list." ??? can i request for the next update, to do AES for Asturias RFS? Yes, but not here, please see the red note in the first post: Please only post AES 2.45 related issues here in this thread, no request for future release! As I know, there are several fixes and Updates in the queue by Aerosoft since 2 weeks, but the stuff is/was full blocked by the update of the Webshop. As the shop is up now, I hope the queue will be smaler the next days. Hi Oliver, activating AES at UK2000 Manchester v2 for FS9 causes the PAPI lights beside the runways to disappear, except for runway 05R. Could you add this to your list of things to fix please? Hello Oliver, could you please respond to this request please? AES causes PAPI/VASI's to disappear apart from 05R. AES is not able to handle multi stoppoints for different Aircrafttypes, so ignore the labels on ground. AES stopps the aircraft related to the doors, so that jetways and the rest can operate correctly. So no issue here.